Upon a quick search on this issue, we discovered that many iPhone users are struggling with this issue, and some of them have posted it on Apple discussion forum, and other discussion forums seeking for help. Nevertheless, we’re happy to announce that we found the right solutions to fix these error messages. If you were notified that “iPhone is disabled, connect to iTunes,” but when you try to restore iPhone using iTunes you were also notified that “iTunes could not connect to this iPhone. The value is missing,” then use the solutions in this post. iMyFone LockWiper is a tool for unlocking the iPhone, iPad or iPod touch when locked or disabled. It’s a great alternative to iTunes especially when iTunes can’t unlock your disabled device due to restrictions, limitations or errors in the iTunes software. 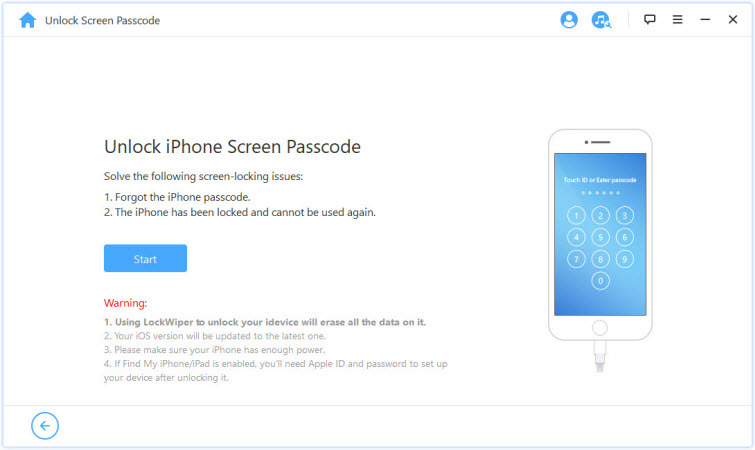 All you need to unlock your iPhone using LockWiper is to have the software in your PC, then connect your device and follow the 3-step process to enable your disabled iPhone without errors. Step 1. Launch iMyFone LockWiper on your Mac or Windows PC. Then, click the “Start” button and connect your iPhone to your PC using a USB cable. Step 2. Put your iPhone in DFU mode. You can follow the on-screen instructions to make it. Step 3. 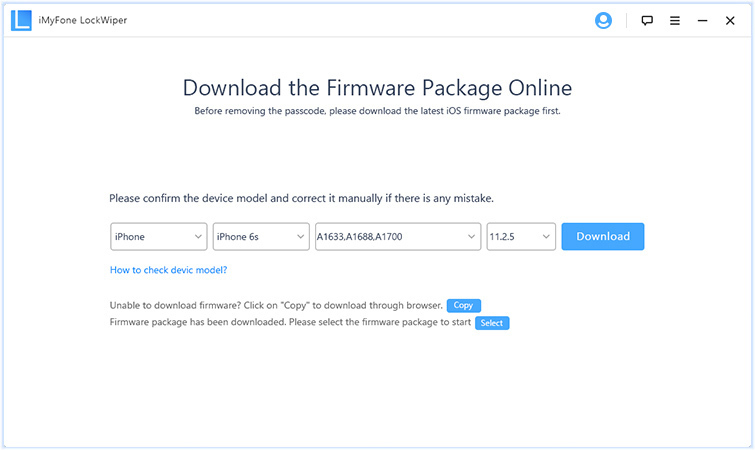 Download the firmware package for your iPhone by clicking “Download”. 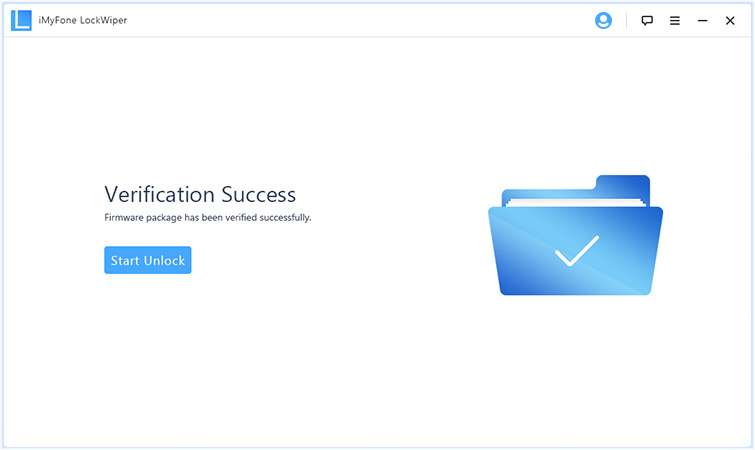 After the download, click “Start to Verify”. Step 4. Unlock your iPhone by clicking “Start Unlock". Then, input “000000” in the box, and click “Unlock”. When it’s done, you can set up new password for your iPhone screen. It’s not free, but it deserves your trial. iCloud is a good way to erase iPhone remotely in order to remove the iPhone passcode. However, iCloud will not work in erasing iPhone passcode if Find My iPhone is not enabled in the device. Step 2. Enter your Apple ID and password on request to access iCloud features. Step 3. Click “Find iPhone” tab and move to “All Devices” for iCloud to display a list of devices that are linked to your account. Then, select the iPhone that’s disabled. Everything will be removed from your iPhone. So does the iPhone screen lock. 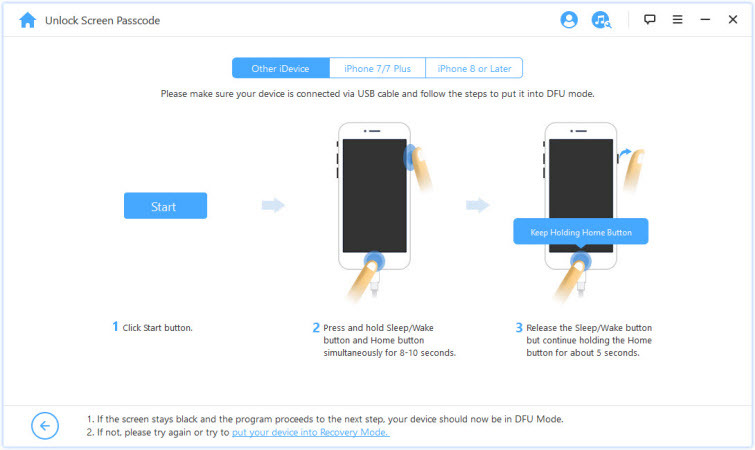 You can set up your iPhone as new again. Or you can repair your iTunes to get rid the “value is missing” error, so that you can use iTunes to fix your disabled iPhone. We recommend an iTunes repair tool for you. iMyFone TunesFix is a great tool for repairing iTunes and its related software components when they’re not performing optimally. Easily and quickly fix iTunes “the value is missing” error in 2 clicks. 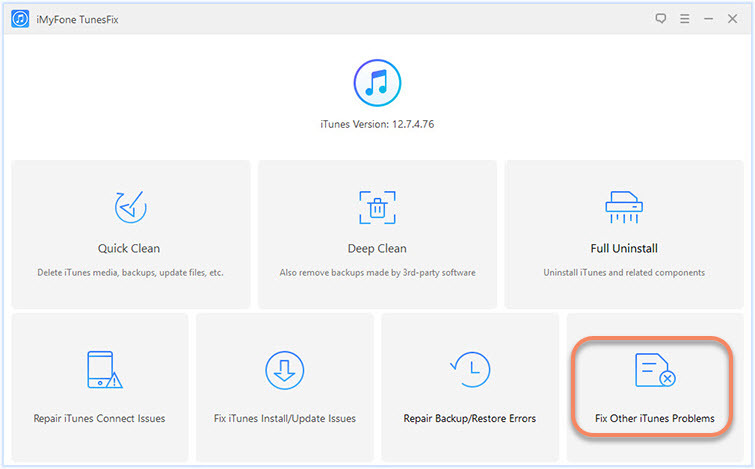 Repair all iTunes abnormities, including install, connect, update, restore, backup and other issues. Automatically detect your iTunes and its components and provide the specific fix. iTunes data will be well-protected while repairing. Quickly or deeply clean your iTunes to remove damaged, corrupted and other junk files. Step 1. Download, install and run iMyFone TunesFix on your PC. If your iTunes and its components are intact, it will redirect you to the home interface. Step 2. Select “Fix Other iTunes Problems” mode, and click “Repair” to fix iTunes. TunesFix has proven to be very useful in uninstalling problematic iTunes software, cleaning iTunes junks and old backups, fixing known and unknown iTunes errors and issues, and speeding up iTunes performance. From all we’ve discussed, it’s clear that iMyFone has the right tools to unlock your disabled iPhone when iTunes is not working or fix the error that’s making iTunes display “iTunes could not connect to this iPhone. The value is missing” notification. Therefore, it’s your choice to choose whether you want to unlock iPhone without iTunes, or repair iTunes to unlock iPhone using either iMyFone LockWiper or TunesFix respectively.